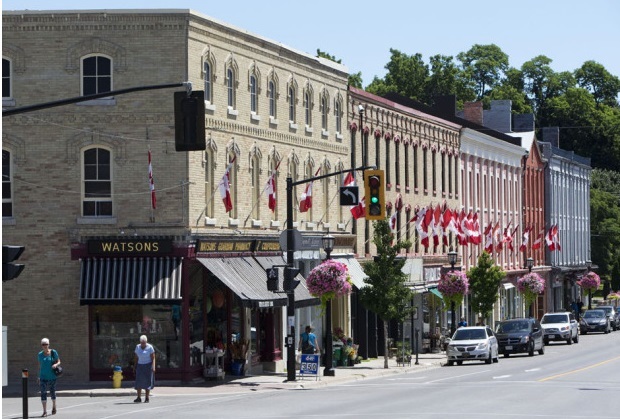 The proposed changes to Ontario’s labour laws and employment standards will have a profound affect on local business and workers because of the fragile nature of the region’s economy as compared to major urban centres. The most significant changes to Ontario’s labour laws and employment standards are expected to be announced very shortly, overhauling a system brought in the 1990s under Premier Mike Harris, Labour Minister Kevin Flynn said last week. Both union leaders and business organizations are holding their collective breath, as each will have its criticisms, as well as praise. Under the current proposals, the provincial government are looking to make paid sick days mandatory, boost the minimum required paid vacation, lower the overtime threshold, abolish the lower minimum wage for students under 18 and those who serve alcohol. Most important are the changes for precarious workers, a growing part of the workforce. These include paying part-time workers the same rate as full-time people doing the same job. It would force employers to post schedules in advance, compensate workers for last-minute rescheduling, limit the proportion of employer’s workforce coming from temp agencies. On top of this, unions would gain a ban or limit on scab workers, the ability to unionize franchise workers and domestic workers, as well as open the opportunity for professional unions, like architects, managers and so forth. Already, small business groups and business organizations are condemning the proposals. Rather than introducing new legislation, businesses are calling for better enforcement of current laws and standards. It is a major shift of power towards unions, demolishing what few employer rights remain, wrote one columnist, predicting a mass exodus of companies in the future. Besides, the situation locally is perilous for a host of other reasons. The Northumberland economy cannot stand to lose any businesses, period. The constant struggle to maintain, retain and grow new enterprises is a constant struggle. Anything threatening the viability of these businesses is damaging. At the same time, the exploitation of workers is one of the most significant untold stories within Northumberland. The use of precarious workers abounds. Many people can only find full-time work elsewhere, commuting away from the community for decent jobs. Look around, and the number of franchises is overwhelming compared to locally-owned businesses. The new laws will no doubt have a profound impact beyond the mainstream concerns. Workers need to see a shift in power to regain some balance. People need to be able to make a living, and the current system cripples them in their efforts. The new labour laws take steps to address this directly. There was no way on earth businesses are going to see this as positive because of the additional costs and regulatory compliance. There will need to be a period of adjustment as marginal operations reconfigure themselves to the new reality. This is where the provincial government might help rural communities like Northumberland. Rural small businesses could benefit from assistance to bridge the changes through various kinds of assistance, both financial and training for employers/entrepreneurs. Through economic development, business organizations and business help centres, these fragile enterprises would be shored up to to sustain the local economy and gain solid footing for the future. One-size fits all approach will not work in Northumberland or the rest of rural Ontario. The provincial government needs to see this. But the changes should not be delayed as workers need these laws sooner rather than later. As the air becomes crisper and snowflakes tease us about what is coming, housing advocates in Northumberland County sounded a dire warning last week only days before a new federal national strategy was announced to deal with the problem. Coincidence or not, it catapulted the issue to the front as Northumberland Affordable Housing Committee warned of a pending crisis this winter. Entrepreneur Bolis Ibrahim, the winner of the $250,000 N100 Start-up prize, talks about his innovative company, Argentum Electronics, and the support he is receiving from Venture 13 in Northumberland County. The man behind N100, John Hayden, also joins the conversation.